The newspapers are ablaze this morning with news that indeed Rafa Benitez is not happy with the January transfer window. The Newcastle hierarchy were unable or more importantly – maybe unwilling – to bring in a winger and a central midfielder in January. That’s what Rafa wanted and right up until 11:00 pm on Tuesday night he was expecting at least Andros Townsend to come in on loan with an option to buy – but even that didn’t happen. The news now is that Rafa feels that Mike Ashley has not kept his promises of last May and that Rafa is even furious with the Newcastle owner. We are hearing in some reports that Ashley promised Rafa £30M in the summer transfer window and that some of those reports this morning say Mike Ashley thinks Rafa spent enough last summer and doesn’t need any more money to get Newcastle promoted this season. But that makes no sense, because in the summer Rafa made Newcastle about £30M in profit as well as lowering the wage bill by loaning out players with the big wages like Tim Krul and Siem de Jong among others. So at least in theory if Rafa was told he could also spend money he made by selling players (he was also told he didn’t have to sell one first team player) then Rafa could have £60M to spend last month. Newcastle spent not one penny – so you can see why Rafa is perplexed. It seems Newcastle could have gone out and got Townsend for £13M and James McCarthy for £20M andRafae would have spent just over the £30M he was promised in transfer fees for last summer. But it’s not the money that’s the real problem. Rafa wanted to bring in two top players for the Premier League that he wouldn’t need to bring in this summer – Townsend and McCarthy – Mike didn’t think the team needed improvement. That’s the big problem in philosophies between the two men – they have a huge difference in ambition. Rafa as a world-class manager will always want to improve the side – it’s continuous improvement. If in years to come he wins the Champions League again he will want to improve that side but Ashley has always shown tendencies when everything is going well there’s simply no need to spend any money. Only if we are in relegation trouble has Mike Ashley showed a real willingness to spend big money and we will not be in relegation trouble with Benitez. It’s a question of different levels of ambition – pure and simple. Rafa didn’t want that, which is what he has everything written down in his contract on what powers he has at Newcastle. If Mike Ashley doesn’t relent on this, Rafa could leave Newcastle and find an owner or Chairman of another big club, who want to win the Champions League and do everything to help Rafa do that. It doesn’t look – at least on the surface of things – that Mike Ashley wants to do that at Newcastle. And it’s the poor fans who once again are taking the brunt of all this stupid stuff going on internally within the club. A final message to Mike Ashley – get some ambition and help Rafa do his job, which is to make Newcastle great again. This is still all speculation. Has everybody forgot about Rafa’s contract negotiations during the summer taking so long, and that all eventualities were recorded to the nth degree? If MA had reneged on a promise, then Rafa would have walked already. This is all just speculative pony put out by the Daily Fail, and the Indepndunce papers. Hardly the source of reliable information. Next season (assuming promotion) Rafa will see as consolidation. That means a mid-table finish. That means investment. transfer fee but salary, I have to wonder if MA is up for that. Season after, Rafa will be looking at top six. So – transfer fees and salaries even higher. Same question – is MA up for that? Just hope if rafa is showing the door or made to walk i would hope this time the thousands of fans would follow him as this needs to stop if Ashley had any sense he would get rid of carr and leave rafa to do his job every team fighting for promotion needs a couple of player to let the others know there place is not safe and have to work hard for the right to play. Can anyone show a source that’s been quoted in any of the articles? you have no need to read anything just watch and listen to rafas interview ! its from the horses mouth as they say. and this is the best article i have read on here for a very long time tbh it all makes sense and gets to the point. 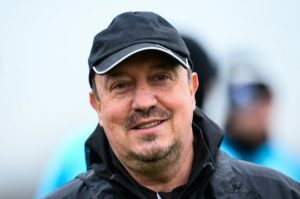 and as for rafa walking by now i highly doubt it as he knows that we have the strength to get promoted which looks good on his cv he wont want to look bad to other clubs walking out half way through a season and believe it or not he respects us fans and only wants the best for us so he wouldnt sabotage this season! this article is correct benny wants to win things and knows how to do it ! ashley doesnt and only wants the money at the least cost possible something will give i just prey its ashley. I just had a thought (dangerous i know). Maybe fatman thinks we will be promoted with what we have and we dont need any new players to get us up. still makes it a huge gamble if the sale depends on promotion !!!!! Far more importantly has Jail issued an updated Bingo table recently? nope i hate the fat fk wish hed fk off as if he does pisch rafa off into leaving we def wont get anther manager like him again under ashley ! if rafa goes i’ll go as far as to bet we will be a relegation battle to mediocre prem team at best never looking at winning anything.